Newcastle now has a thriving Gay scene with several pubs and night clubs within a short distance of each other. The Gay Village or Pink Triangle as it is sometimes known is situated between the Central Station and the Metro Radio Arena. The area is well served by public transport with the Metro Station and Central Station both close by. 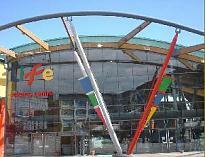 The Centre for Life and The Metro Radio Arena are two popular attractions that attract visitors, therefore the area can get fairly busy during the day. The area comes alive at night when most of the pubs and clubs are very busy with a mixed crowd of gays and straights. There are several pubs and night clubs to choose from, with the Powerhouse one of the only exclusive gay night clubs in the north east. The Pink Triangle is expanding rapidly with new gay bars and clubs opening with the re-development of the area. There are several new pubs and Digital night club in the Centre for Life complex on Times Square. 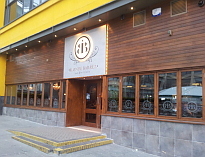 The Jury's Inn hotel should also attract more interest in this up and coming area.